The only thing Better than Virtual Reality, is Reality Itself. 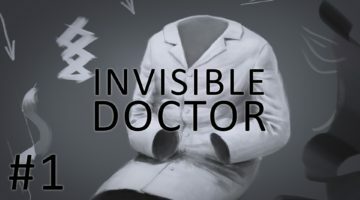 Since my early days of Telemedicine, I have been really interested on how to deliver Healthcare and Medical Education to those who lack access to it. I frequently think about this problem. It could perhaps be because I am from Latin America; born, grown and taught medicine in Venezuela, before coming to the USA to specialize in Surgery. Inequality is well known to me. My early attempts to address this issue, resulted in my first TEDx talk, using Apple’s iPod Touch devices to provide acute trauma consultations to rural providers in need. My second attempt to tackle on the problem brought me to perform the first operation with a head-mounted device, Google Glass, to livestream the procedure to medical students located in a remote location, wanting to witness the act of surgery first-hand, without being physically present in the operating room. We often don’t think about it, but we should realize that most of the world’s population does not have an easy, inexpensive or just any way to get medical care. Global Health should really be renamed Global Un-Health. The Lancet Commission on Global Surgery states that Universal access to safe, affordable surgical anesthesia care when needed, saves lives, prevents disability, and promotes economic growth. GlobalSurgery2030 is a goal that must be met to avoid unprecedented pain and suffering. Unfortunately, there are not enough surgical personnel. We would need to double our workforce in the next 15 years to achieve the goal of covering 80 % of the demand by 2030. Again, Technology and its smart application, can fix this problem. There’s really no other feasible way in the short to mid-term. The world can’t wait too long. We have all been reading and listening about Virtual Reality. It is the very hot topic these days. We hear that it could radically transform retail, gaming, entertainment, design, manufacturing, etc. But What about Education? What about Medical Education? What about Learning or improving your Surgery expertise or skills? 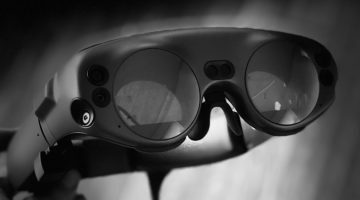 Imagine having a pair of goggles, which you could even build yourself (DIY) or buy at Google Cardboard , which would allow you to virtually be anywhere, anytime, as long as you have connectivity. Really, there’s no excuse not to enjoy Virtual Reality- Making your viewer or getting one is NOT difficult NOR expensive. Now, if you want easily and inexpensively create your own VR content, go no farther than this post by my colleague and friend @ChristianAssad . He will guide you thru the necessary steps to get it done! Until now, you could watch a VR video, computer generated or a real footage filmed with a 360 degree camera, but NEVER IN REAL TIME. It was always a recording, a fun way to watch but not with live interaction with the actual individuals being filmed. On April 14th, 2016 at 1300 hrs GMT, for the First Time in History, a Live Surgical procedure will be livestreamed to the whole world. 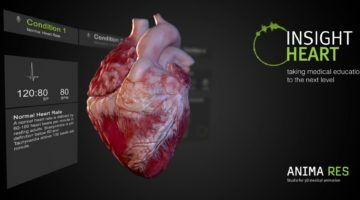 By the way of Medical Realities and Mativision You will be able to Virtually Be present inside the Operating Room with the surgical team, watching, listening and being heard. This is an unprecedented opportunity to surgical exposure, to learning and training, or just to satisfy your endless curiosity. Don’t miss it. See you All there.